The weekend is finally here and we get the party started with the Italian Stallion Patrizio Buanne. 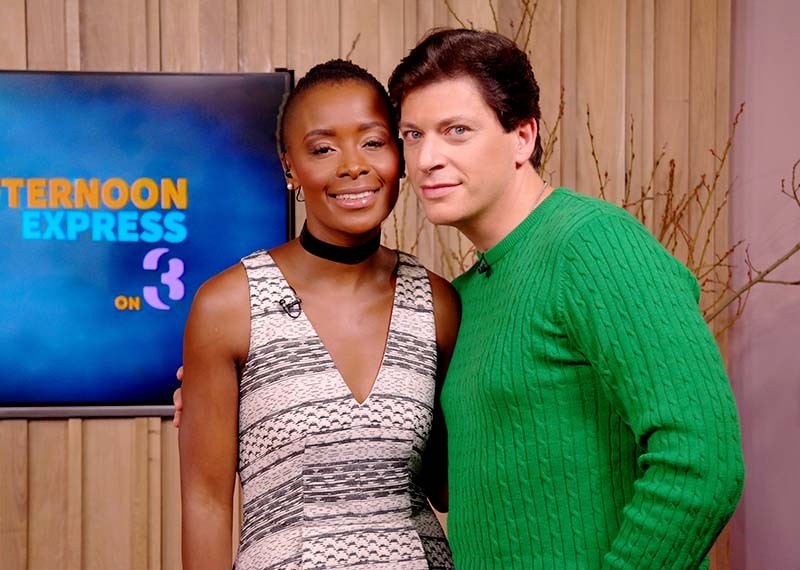 Patrizio Buanne is in South Africa for one show only tomorrow night in Pretoria at 'Classics is Groot'. He’s going to be performing his hit "Solo tu my baby" exclusively on Afternoon Express. Comedian Kagiso Lediga joins us for his second visit to chat about his new film called “Wonder Boy for President”. He’s here along with writer and co-poducer John Barker to discuss the role political satire plays in SA. For Win a Home we get some lounge and dining room colour inspiration and latest trends from Anne Roselt, Plascon's Global Colour Manager and we see what colours our contestants will be using in their dining rooms. We're treating our guests to breakfast for dinner as we're making deliciously eggy breakfast tarts.